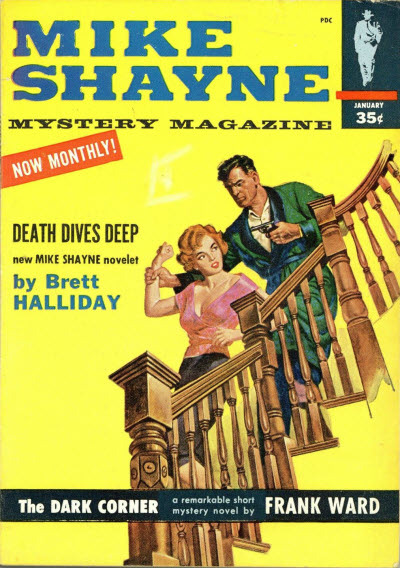 Title changed from Michael Shayne Mystery Magazine. 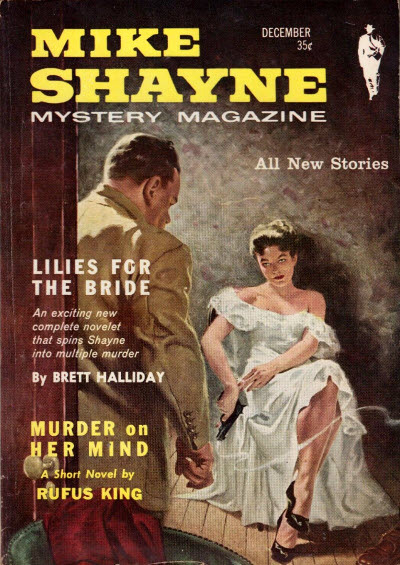 Leo Margulies - Editor: Mike Shayne Mystery Magazine, Apr 1957  Jun 1957. 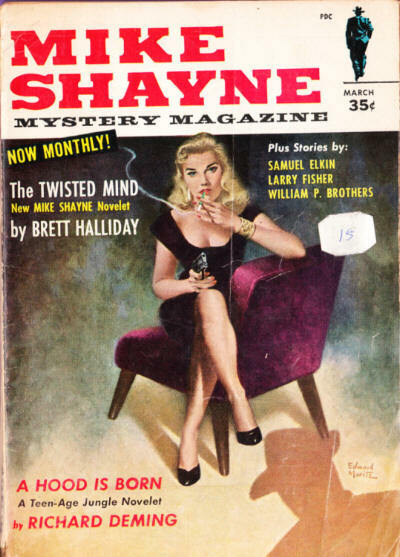 Cylvia Kleinman - Managing Editor: Mike Shayne Mystery Magazine, Apr 1957  Feb 1958. 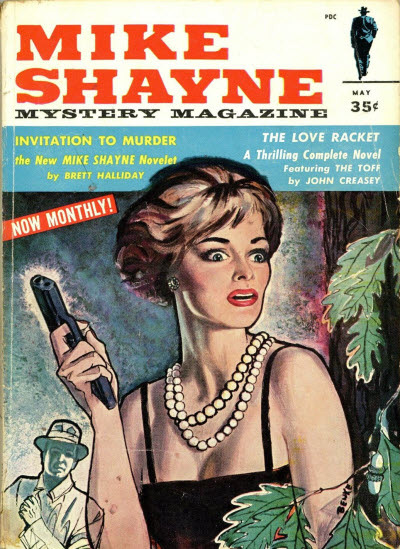 Cylvia Kleinman - Editorial Director: Mike Shayne Mystery Magazine, Jun 1958  Jun 1974. 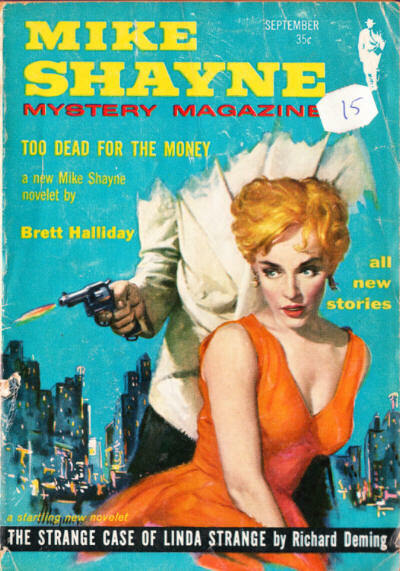 Frank B. 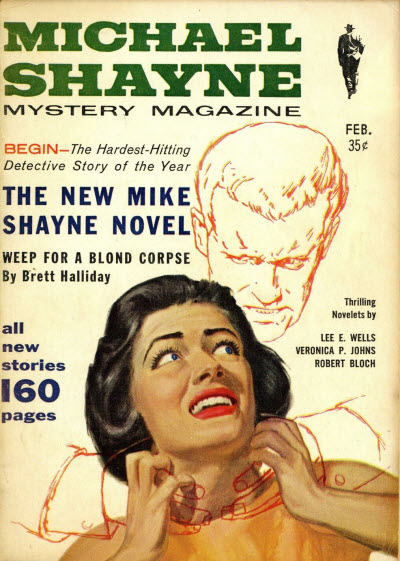 Long - Associate Editor: Mike Shayne Mystery Magazine, Mar 1960  Oct 1965. 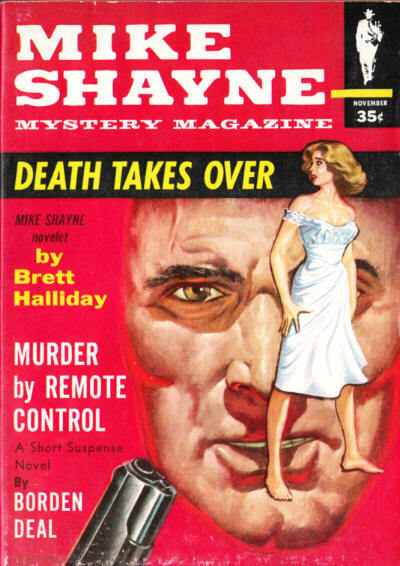 H. N. Alden - Associate Editor: Mike Shayne Mystery Magazine, Dec 1965  Nov 1966. 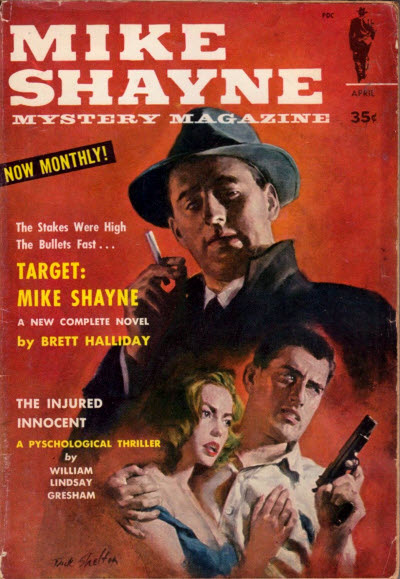 Holmes Taylor - Associate Editor: Mike Shayne Mystery Magazine, Dec 1966  Nov 1973. 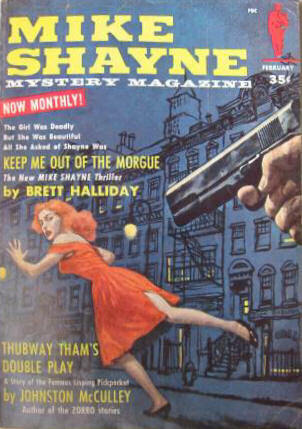 Thom Montgomery - Editor: Mike Shayne Mystery Magazine, Apr 1974  Apr 1975. 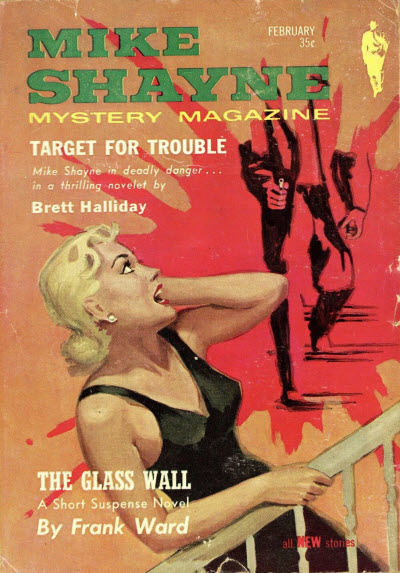 Cylvia Kleinman - Managing Editor: Mike Shayne Mystery Magazine, Jul 1974  Feb 1977. 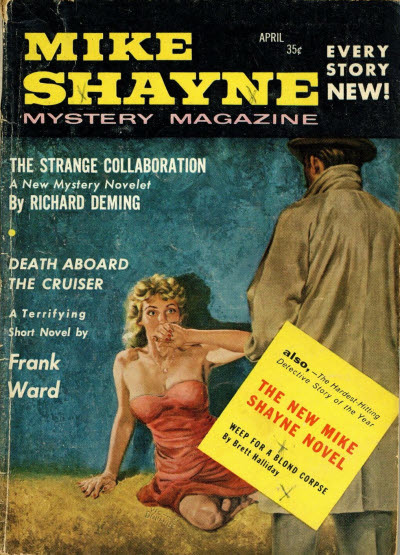 Sam Merwin, Jr. - Editor: Mike Shayne Mystery Magazine, Jul 1976  Aug 1979. 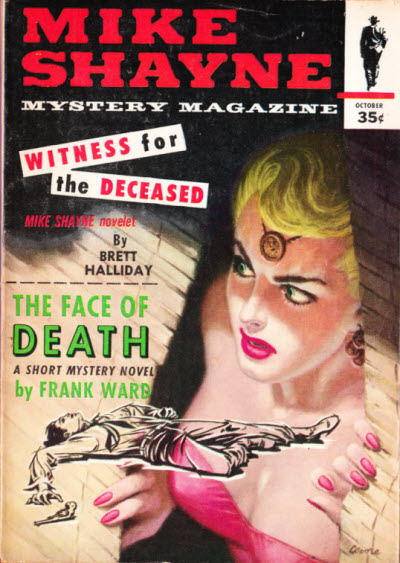 Larry T. Shaw - Associate Editor: Mike Shayne Mystery Magazine, Jun 1979  Aug 1979. 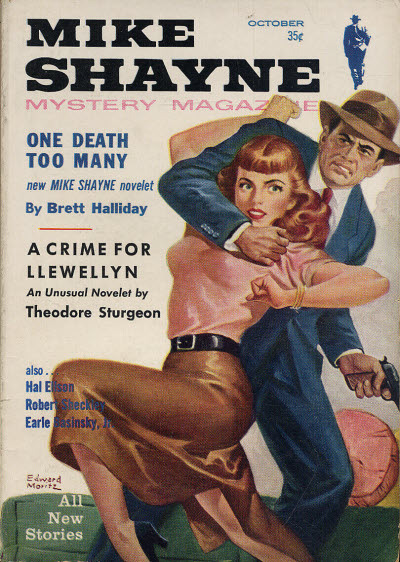 Larry T. Shaw - Editor: Mike Shayne Mystery Magazine, Sep 1979  Oct 1979. 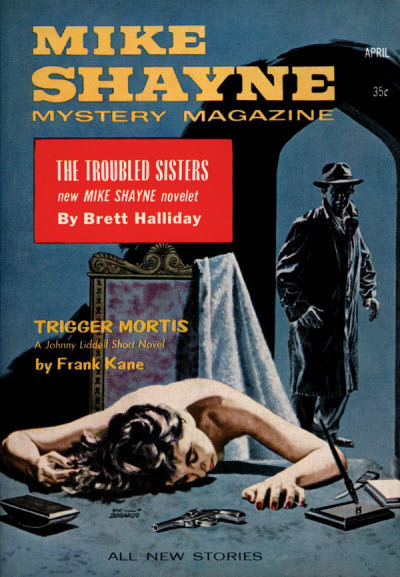 Charles E. Fritch - Editor: Mike Shayne Mystery Magazine, Nov 1979  Aug 1985. 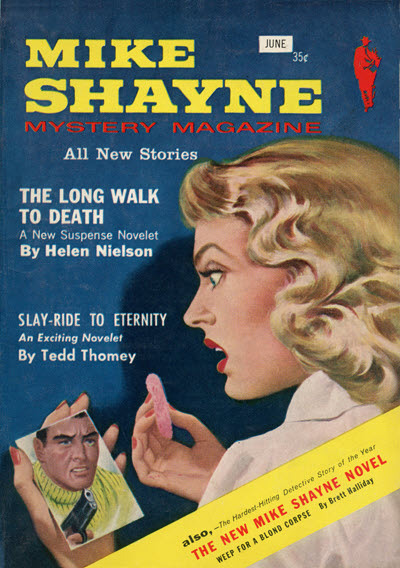 4 · The Long Walk to Death · Helen Nielsen · na; given as by Helen Nielson on the cover. 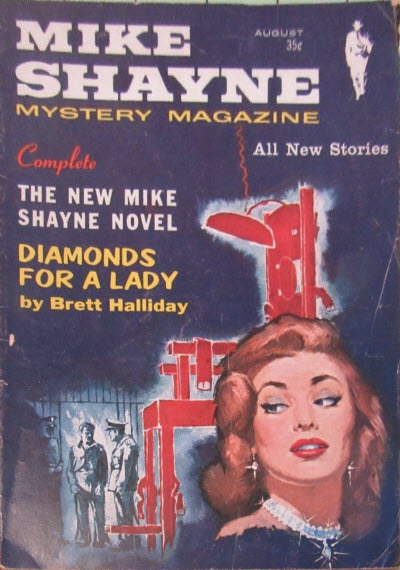 94 · Sky Caper · Fredric Sinclair · ss; given as by Frederic Sinclair. 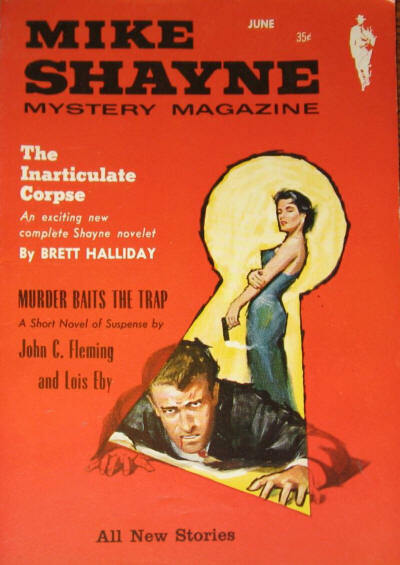 36 · The Enigma of the Empty Privy · Joseph Llewellyn · ss; given as The Enigma of the Private Privy in the Table of Contents. 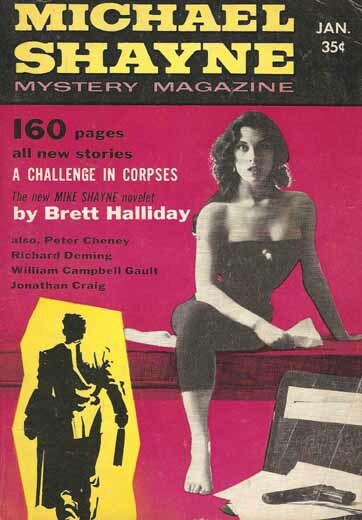 123 · Wednesday Afternoons · Peter Greasley · ss; given as by Peter Greaseley in the Table of Contents. 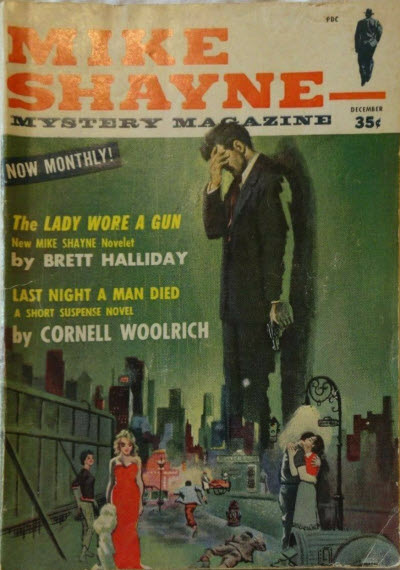 4 · Last Nighta Man Died · Cornell Woolrich · na I Wouldnt Be in Your Shoes, Lippincott 1943, as Last Night; revised from The Red Tide (Street & Smiths Detective Story Magazine, September 1940). 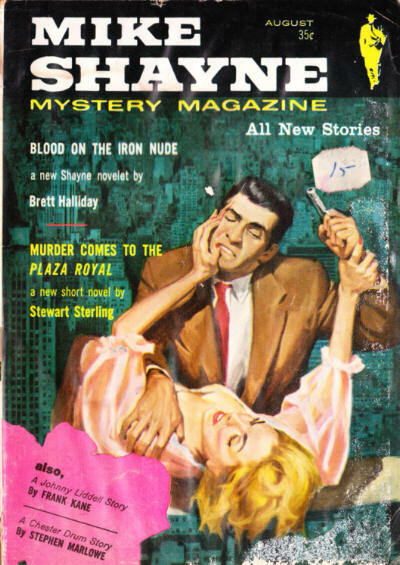 47 · A Cop Grows Up · Samuel Elkin · ss; given as by Samuel Elkins in the Table of Contents.